Technological advances have been disrupting a wide range of industries. The McKinsey Global Institute compiled a list of 12 technologies expected to have an impact of between $14 and $33 trillion annually by the year 2025. Small wonder, then, that "Business Insider" reports that venture capitalists are still rushing to fund technology enterprise startups. Problems arise, however, when companies on the cutting edge of technology fail to understand that traditional marketing methods simply are not going to produce the desired results. Just as technology has been reimagined to meet the needs of the "Internet of Things," so, too, must businesses reimagine their marketing focus and if necessary, revise the way they think about marketing their products and services. 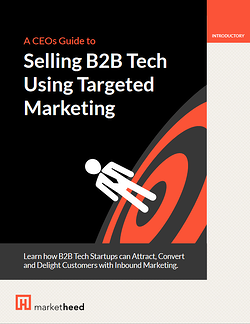 Be more effective by targeting your marketing efforts. Understand your customer’s buying process and engage them at every touch point. Avoid common marketing pitfalls and accelerate your marketing ROI. With these marketing principles, marketing departments will no longer be a financial drain for tech companies.